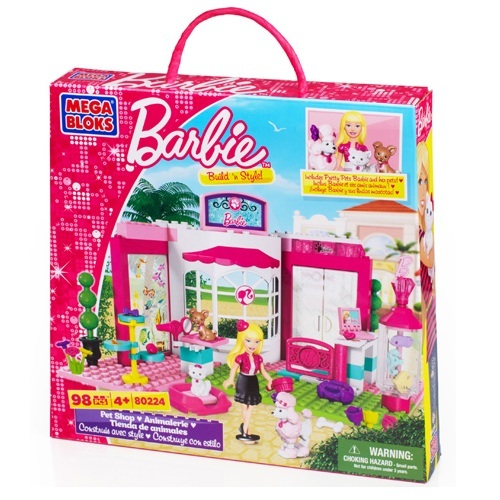 Product Detail Summary: Pretty Pets Barbie® loves to bring her furry friends to the Mega Bloks Barbie® Build ‘n Style Pet Shop for a “pet-icure”. Treat each pet to a shampoo followed by stylish grooming make-over. Show off the pets’ tail-wagging looks in the moving pet shop window seat!